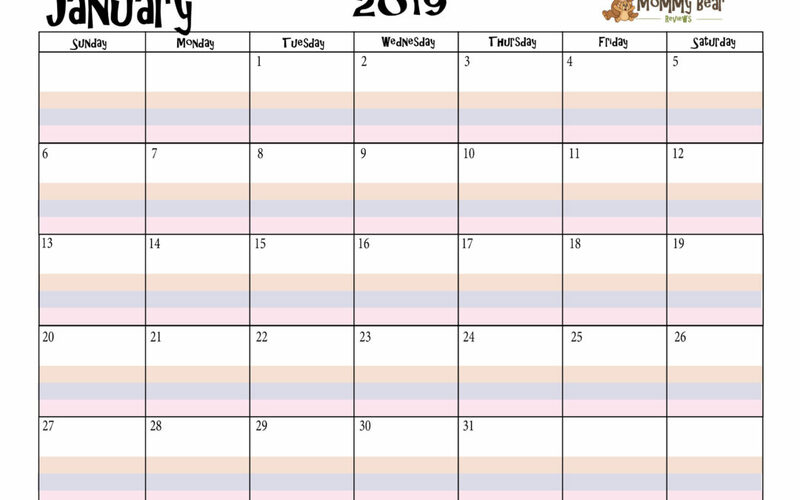 FREE 2019 Calendar Download ~ Meal Planning, Life Planning & More! 2019 is almost upon us! I hope that everyone is having a fantastic 2018, and are looking forward to the coming new year! I wanted to reach out to you today with a free 2019 printable calendar that I made! It is the same calendar we gave out last year (with new dates obviously). Keep yourself organized for 2019, plan meals, keep your family on schedule, and more! I love the simple addition my printable 2019 calendar has with the three highlighted areas for each day. These can be used for a variety of planning needs, but I think that it will be especially helpful for meal planning. This calendar has helped me plan meals better over the course of 2018 by putting down what we are having for each meal throughout the week. This saves time of having to think about what we are making that day, and gives me time to prep meals that take a little extra time. The three shaded areas work perfectly for breakfast, lunch, and dinner. There is also a little white space on most days to add family appointments and more! If 2019 is your year for getting organized in work, then this calendar may be a good download for you as well. Instead of listing out meals, the three highlighted areas can be used to list out tasks you want to accomplish for the day. If you are also meal planning, you can list tasks in the white area and meals in the shaded area. It can work in both cases! The calendar can also be used to plan events and appointments for your family: kids sports, lessons, or activities, part-time work schedules, stay-at-home-mom schedules, full-time projects, blogging schedules, you name it! I started out making this planner for myself to use for this year, but I hope that you find great use out of it for 2019 as well! Just drop your email below to join my mailing list, and the download button for the 2019 calendar will appear! Print it out, and you are ready to make 2019 a great and productive year! 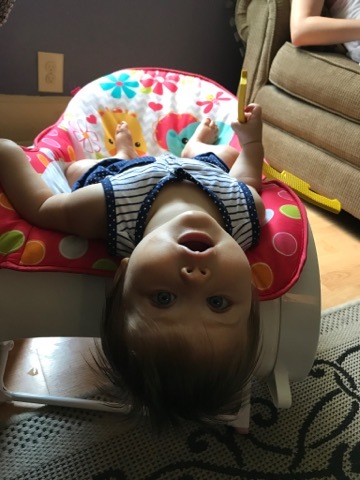 Crawling to Walking in 2 Days!